The Little Cottage, by the lighthouse (the photo on the top) at Carraig Fhada Farm, is situated 2.5 miles from Port Ellen, on the idyllic Isle of Islay. The cottage is very close to the shore and the lighthouse. It is about 5minutes walk from the one of the most famous beaches in Islay, ‘Singing Sands’. Free internet access (Wi-fi) is available at the cottage. 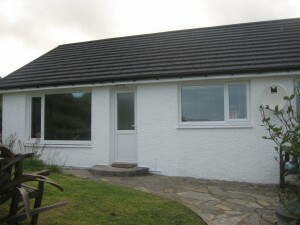 The cottage is located at the end of a dirt-track road and is about an hour walk from public transport. Therefore, we don’t recommend to stay our cottage if you don’t have own transportation. Water in the Little Cottage is from a private source through a filter and ultraviolet purefication system. The water quality is checked annually. However, we recommend to boiling water before drinking.